Do you remember the first time you saw the castle? We can all probably think back and remember the feeling of our first Disney vacation. The moment we entered the gates, stepped on to Main Street, U.S.A. and caught a glimpse of Cinderella’s Castle in person. That iconic scene that we viewed countless times on television was right there before us! Disney Firsts are moments that we can remember for a lifetime and make great photo opportunities. My suggestion to Disney travelers is to space out your Disney Firsts. Don’t try to do them in one vacation, but plan your firsts over several trips to get the most out of the wow factor. Too many “wows” in one trip can be magic overload; so plan accordingly. 1. First Ear Hat– This is a milestone for any fan of Disney. Getting your first ear hat is equal to officially joining the club. There are several locations to purchase personalized Mickey ears in the parks. My personal favorite is Sir Mickey’s in Fantasyland; however, I am only partial to this location because the store can be found in the shadow of Cinderella’s castle. 2. First Haircut– If you have a little one who is due for their first haircut, consider making an appointment at the Harmony Barber Shop on Main Street, U.S.A. Cast members make this experience incredibly memorable by presenting your little one with a certificate and ear hat to mark the occasion! The first haircut package is currently $18. Call 407-WDW-DINE to make your appointment. 3. 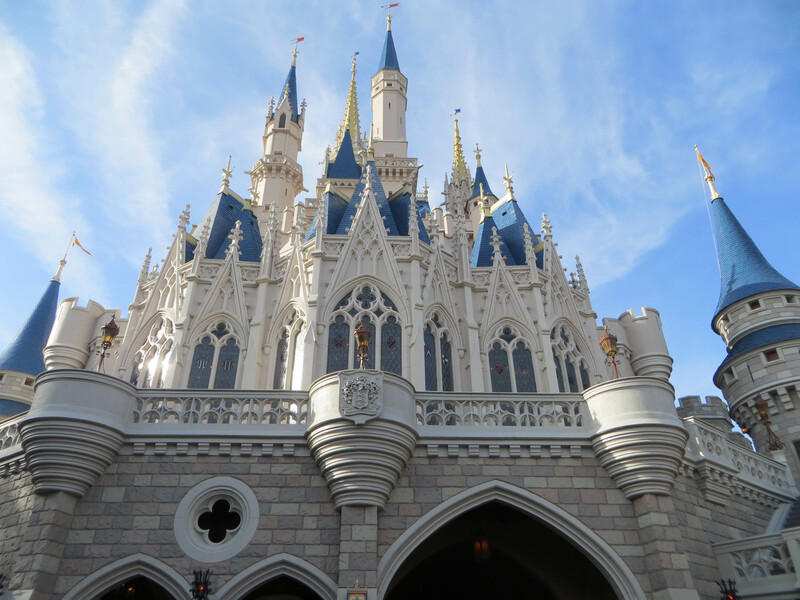 First Character Experience– Does your first time WDW traveler have a Disney favorite? Character meet and greets can be found in all the parks and photographers are on hand to catch those special moments. Plan accordingly because the wait times for the popular characters can be long during peak park days. 4. First Mickey’s Premium Bar– This Mickey Mouse shaped ice cream is one of the most sought-after food items in the parks. Purchase one and get that camera ready (and some wet naps) because this magical moment can get messy. 5. First Rides On Dumbo and Prince Charming’s Regal Carousel (formerly Cinderella’s Golden Carousel) – These rides appear on many Disney ads because they are some of the most family-friendly experiences in the parks. One member of your party can be appointed the official photographer to capture the smiles and giggles of the first timer! Are there any other Magic Kingdom Firsts that you recommend?